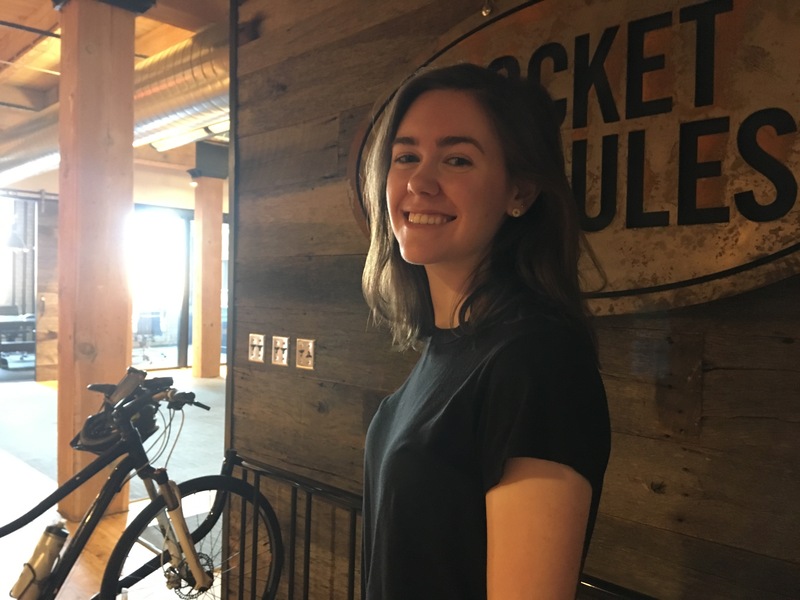 This summer, Juliet Dupont, a student studying journalism and strategic communications at the University of Wisconsin-Madison (Class of ’21) worked as an intern at Pocket Hercules, where I serve as vice president of public relations and branded content. 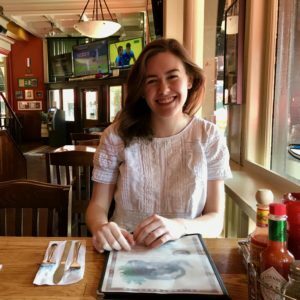 I invited Juliet to share what she learned over the past four months. By the way, over the summer, Juliet started her own website, julietdupont.com. Check it out. 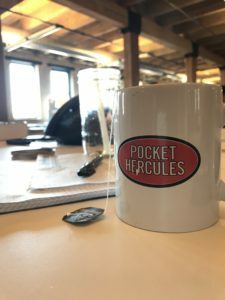 When I started as an intern at Pocket Hercules, a Minneapolis-based public relations and advertising firm, I was given a list of tasks to complete over the course of the summer. Juliet’s desk at the worldwide headquarters of Pocket Hercules in downtown Minneapolis. 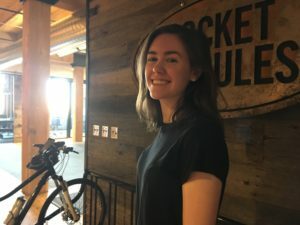 Many of these tasks were intended to round out my internship experience and give me the full picture of what it’s like to work in a creative firm. 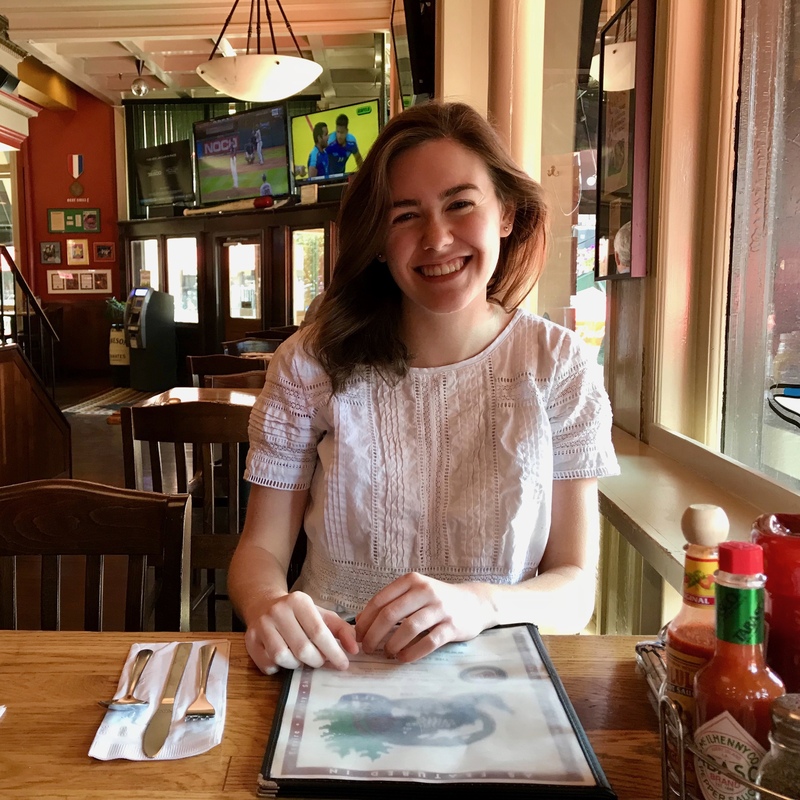 Other tasks sought to catapult me out of my comfort zone, one of which was to interview at least three communications professionals who worked for other organizations during my internship. I reached out to six different individuals with backgrounds in communications, from a partner at a lobbying firm to a vice president at one of the largest public relations firms in the world. Some of these extraordinary individuals, but not all, are based in the Twin Cities area, and I met many them in person for coffee – discovering some of my new favorite cafes as I went along. At each interview, I asked the same question: If you could sit down and talk to your 19-year-old self, what would you tell her or him? The answers to this question were mixed, but all insightful. I took their answers to heart and carry them with me as I finish this internship and head back to the University of Wisconsin-Madison, where I’ve been accepted into the School of Journalism and Mass Communication. At the same time, however, I find myself coming back to that question. What would I tell myself if I could speak to the Juliet from three-and-a- half months ago? On top of that, I wondered how different I would be. How much did I learn this summer, without realizing it? What would I want the next intern to know? If you don’t know, just ask. Internships are learning experiences, and asking questions is key to making sure you get everything you can out of the experience. There’s truly no such thing as a stupid question, whether it concerns your career, your classes or a point of clarification on a project. Asking questions and getting answers from smart, friendly people can send you on the right track right away, open doors you didn’t know existed and prevent mistakes that can be difficult to correct. Always ask if you aren’t quite sure. Take another look at the things you already enjoy. When you’re doing something you’re passionate about, always ask yourself: Why do I like this? What’s pulling me in? Now, when I approach Teen Vogue from a public relations intern’s point-of-view, I can see that the rebranding of the digital magazine as a young woman’s hub for news, fashion and lifestyle advice was purposeful. They wanted to increase readership with young women such as myself – undervalued and underestimated in America’s current political landscape – and they did exactly what they needed to do to accomplish that. It’s modern, insightful, empowering and brilliant, and I reached that understanding because I looked at something I enjoyed with a fresh pair of eyes and the willingness to learn. Don’t go to the same place for lunch every day. There’s a whole city to explore, so branch out. I took in the city of Minneapolis by going on an extended sandwich crawl. The best sandwich is a BLT from Moose and Sadie’s. The best cheap sandwich is from Potbelly in the IDS Center. The best vegetarian sandwich is from the Jimmy John’s across the street (#6 with no avocado. Add hot peppers, pickle and whole grain mustard). Eating lunch at the world-famous Loon Cafe. I even tried a brat at Kramarczuk’s, a Ukranian deli in Minneapolis’ Nordeast neighborhood. A word of advice to the next intern: if you’re ordering in, say “yes” when your co-worker asks if you want a “hot dog taco.” It sounds weird, but it’ll change your life. Your coworkers are sources of inspiration. I’m so thankful to have worked in an office with and learned from passionate, friendly people who communicate dedication for their work and to their team without saying a word. Be as outgoing or as quiet as you like, but always remember to listen and find the motivation to improve for your team. Thank you to Beth and Aaron for letting me into the office at 8:30 A.M., to Gavin and Matt for beer lunches and excellent questions (Gavin: I’ve added “Getting a tattoo” and “Driving to Alaska” to my bucket list.) and to the rest of the office for being so welcoming. Giving a writing assignment back to Stephen Dupont to edit. Thank you, most of all, to Stephen, for the notes, chats and Skyway directions. 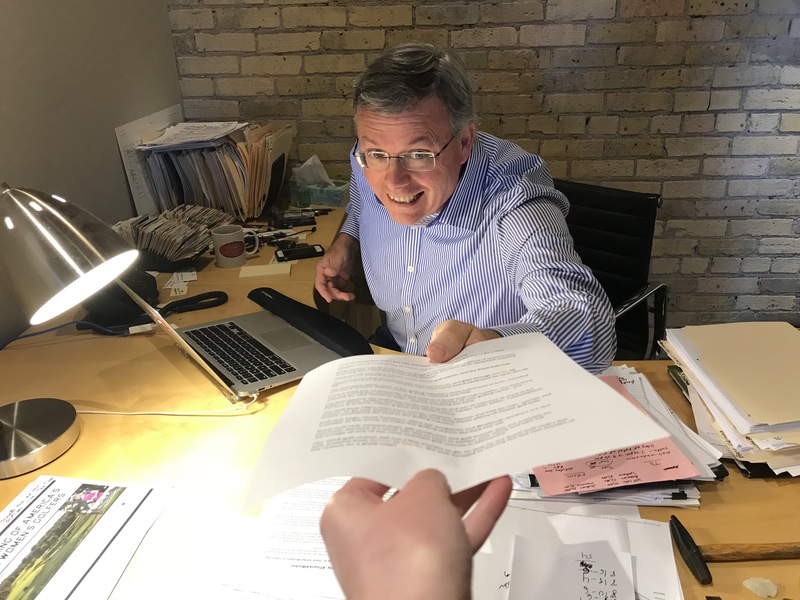 I consider myself lucky to have worked for you, and hope to find the same passion for meaningful communication and connection that you incorporate into every sentence you write. I appreciate every opportunity this internship has given me, and look forward to taking on the future with each piece of wisdom and guidance I picked up along the way. A million thank you’s, again, to the Pocket Hercules team, and a million good lucks to the next summer intern.